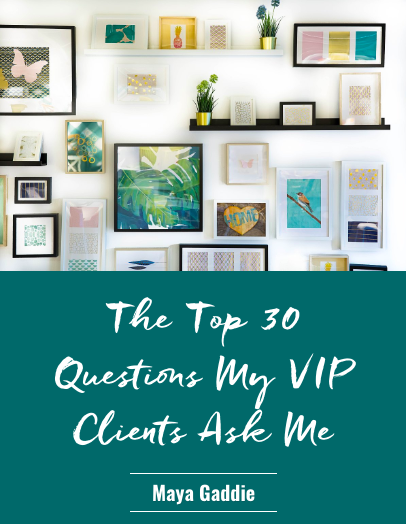 Thanks for grabbing your copy of The Top 30 Questions My VIP Clients Ask Me! Go check your inbox for your confirmation email. If you don't see an email from heymaya@mayagaddie.com in your inbox, in the next 15 minutes or so, check your spam. Then, drop us a line and we'll get you squared away!